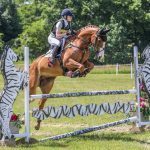 The sport of eventing gained a new audience this week, courtesy of the inaugural London Capital & Finance Osborne Horse Trials. In a first for the Isle of Wight, mainland-based event riders and their horses boarded the ferry for the short hop to the Island, and to one of the most beautiful settings imaginable for a horse trials – Osborne House, former royal residence of Queen Victoria and Prince Albert, and now under the guardianship of English Heritage. In a break with convention this was very much a ‘showcase’ event, with a specially designed, shortened dressage test and showjumping in a compact arena where spectators were almost within touching distance of the horses as they performed. The cross country, which ran at open intermediate height, consisted of 23 numbered fences and 29 jumping efforts. 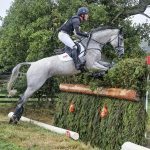 World Number One Oliver Townend dominated proceedings. 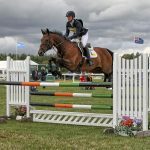 He took both first and second places in the headline Grand Prix class on Thursday, winning with short-format specialist Cillnabradden Evo and taking the runner up spot on Mitsubishi Motors Badminton runner up Cooley SRS. “I came here in part for the prize money of course, but also to give the horses a non-pressurised run. The shortened dressage was a nice test that they hadn’t performed before, and the jumping phases were well within their scope, so it was all about the amazing atmosphere created by these wonderful spectators which gave it such a special feel,” said Oliver, mission accomplished with a total of £17,000 heading his way for these two placings. 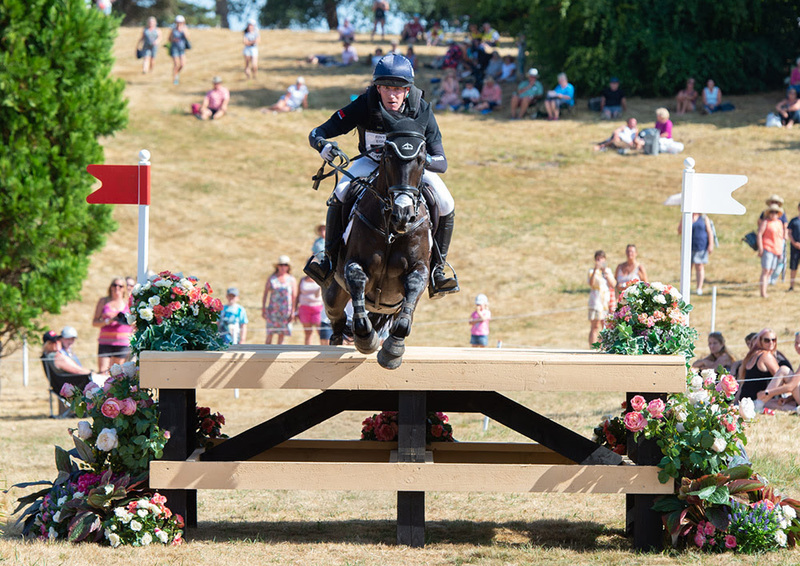 Andrew Hoy secured third place on Cheeky Calimbo, bagging £5,000 in the process, and fellow Australian Sam Griffiths was fourth, adding £3,000 to Badminton 2014 winner Paulank Brockagh’s career winnings. Matthew Heath took second place in this section, riding Sportsfield Lord Livesey, holding Alex Bragg and Barrichello back in third place. The opening section again featured Oliver in the line-up, although he had to settle for fourth place, a showjump pole down by Elm Rainbow costing him a clean sweep of victories. 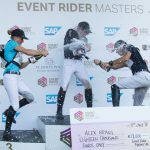 Instead it was Ludwig Svennerstal who pocketed most of the prize money. Fialotta bagged £4,000 for the win and Fit For Fun Raa £2,000 for third place. Ludvig’s horses were separated by Emily King’s Quinlan Z. An estimated 5,000 spectators enjoyed both the spectacle and the scorching weather over the two days. Riders, owners and visitors were all enthusiastic for this to become an annual event. 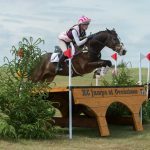 Innovative sponsorship opportunites were taken advantage of, arena attractions were varied – from Classical Dressage to Falconry and Pony Club Games, and thousands of people who had never witnessed the sport of eventing had a taste of what the sport is all about. The man of the moment, Oliver Townend, summed it up from his perspective.